Cities and neighborhoods always like to brag about their amenities and put others down. But I like to bring people together and seeing as this is about 'Greater Milwaukee', not just the City of Milwaukee, I like to promote all that the area has to offer. The food scene, especially now - with foodies, food shows, food blogs, etc. - is especially competitive. Though I love what's happening in Milwaukee with food, I live in Wauwatosa - a city that often gets overlooked, or even worse demeaned - and feel it in some ways needs defending - or promoting - depending how you look at it. Among my friends there is a running joke that Wauwatosa has no original food scene, that the recent influx of restaurants from Milwaukee owners is proof. Sometimes its not even a joke, there are people who seriously think just because its a 'suburb' or they know of a few specific businesses, that it's an unoriginal spot with chain restaurants & imports. Sure there are a lot of hand-me-downs, or in food vernacular 'leftovers' - new places opened as sister businesses to those elsewhere, but if you take just a second to think you will remember many long-standing pillars of the industry and if you look a bit you will see we have many new homegrown businesses that are not just cast-offs. 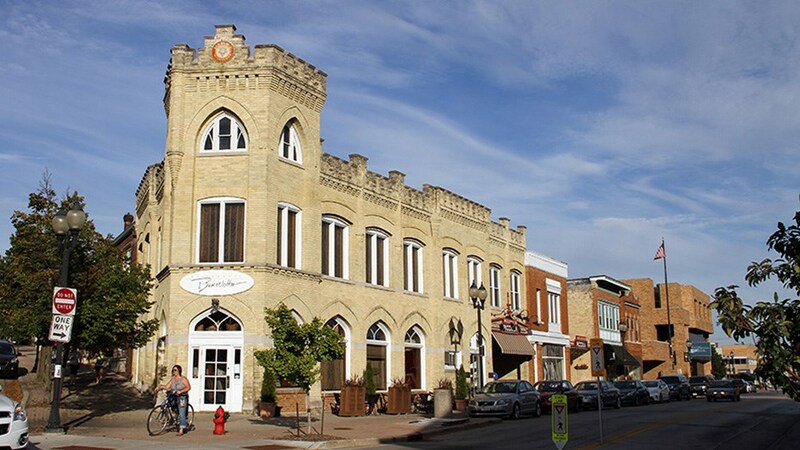 Let's start with the 'old guard' since top tier restaurants and businesses are nothing new to Wauwatosa. One of the biggest names in the Milwaukee food scene started right here in the Village of Wauwatosa on State Street: Bartolotta's - with their Ristorante Bartolotta and next door neighbor & sister restaurant Pizzeria Piccola. Though Lake Park Bistro & Bacchus may first come to mind - as well as Harbor House, Rumpus Room, and Joey Gerards - the Ristorante is where it all started. 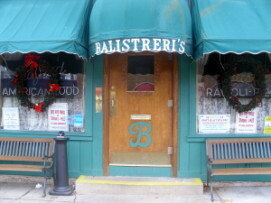 Balistreri's on 68th St is regularly named a top pizza on one or more of the annual reader lists or other reviews, and don't count out its sister restaurant Balistreri's Bluemound Inn - on Bluemound of course - for a bigger Italian menu. Across the street from Balistreri's is Simma's Bakery, one of the top 25 rated bakeries in America let alone Milwaukee. Eddie Martini's has been the place to go for steaks west of Milwaukee for 20+ years now - and remember them for seafood as well. On the cusp of Wauwatosa are other long-standing businesses. Saz's, two blocks from east Tosa, is not only a great place to eat in, known for their signature ribs and other BBQ, but also well known for catering, at stadiums & events, and even product in stores. Bunzel's meat market & catering is a great butcher that has been around for four generations that, though old school, stays up to date recently moving to a new larger location and even having their own app Amaranth Bakery is a small west side bakery that bakes goods that focuses on organic and whole grain ingredients for 12+ years now. Le Rêve Patisserie & Café,a French bistro, almost qualifies as the old guard by now, open close to 10 years and along with Bartolotta's was one of the businesses to reinvigorate the Village of Wauwatosa, the stretch of State street and a few blocks beyond that now boasts other restaurants, bars, & artisinal foods. Ethnic foods are not missing from the scene with Cosmos Cafe serving casual Greek & Mediterranean, Irie Zulu serving African & Jamaican, and one of my favorite restaurants in the area: Ono Kine Grindz a Hawai'ian market & deli. Mekong Cafe is a great Southeast Asian restaurant just outside Wauwatosa serving food from the countries along the Mekong river: Laos, Thailand, and Vietnam and Ginza is one of my favorite sushi restaurants. Artisinal food businesses in the area include Cranky Al's donuts & pizza, Yo Mama! frozen yogurt, Village Cheese Shop cheese and some light meals, Tabal Chocolate (the area's only locally ground cacao), Empire Fish distributor and retail seafood, and Rocket Baby Bakery - who have exported to Bay View with a sister storefront. Speaking of brewing, there is a micro-brewery in the area as well in Big Head Brewing on State Street (we also once were home to Wisconsin Brewing until they were flooded out). The Ruby Tap is 'just' a wine bar, but I mention it here as it has done the opposite of many businesses such as those below, it started in Tosa and expanded elsewhere. Not quite in Tosa but close enough, McBob's - a mere 10 blocks away - has some of the best Irish corned beef (as opposed to Jewish corned beef). Kettle Range Meats Co. butcher is just east of Saz's and boasts free range/pastured meats of all varieties. Valentine Coffee Roasters is just a bit outside on Vliet Street among the businesses in the West side resurgence and perhaps my favorite local roaster & brewer of coffee focusing on pour-over service. The Black Shoe Hospitality group of restaurants started in the area (OK to be fair they all have a Milwaukee address and Maxie's actuallymigrated here from New York but the restaurant group makes its home here and it spawned two other locally born restaurants.) Maxie's Southern style - with plenty of Style - cooking was first and is highly rated, while Blue's Egg (literally across the street from Tosa) and the newest Story Hill BKC are each also widely regarded, reviewed, and voted in this case among the best for breakfast/brunch in all of Greater Milwaukee. Blue's is supposed to be expanding somewhere east- maybe north of Milwaukee and bucks the supposed trend of imports. Is it really so bad to have businesses open expansions in your area? While, sure, it means they weren't started here, it means that the area is desirable for businesses of this caliber. Of course we have our share of Starbucks, BW3, Applebee's and the like, but then so does 'the city'. Chain restaurants are not only found in suburbs, and not all suburbs lack for an original, local food scene. So even though it means defending the import tag, we welcome these places imported from Milwaukee: Juniper 61 is sister to LuLu Cafe in Bay View, Pizza Man opened its second new restaurant here among other new/imports at the Mayfair Collection, Cafes Hollander & Bavaria are part of the now widespread Lowlands Group, and Red Dot moved first secondarily now singly to Tosa,. Bel Air Cantina was a welcome addition to the less creative Mexican scene, and Thai-namite and Hue came here with other ethnic food recently as well. There are two Colectivos and now an Anodyne, Lucky Joe's came here by way of the now closed Tiki Joe's. We have a Purple Door/Indulgence pairing of premium ice cream and chocolate. There are some new players entering the game and we hope they exceed and that other new ventures come to the area. Maison is a new French restaurant in Vliet Street, Wauwatiki is still pretty new to the game and besides being Hawaiian drink and food, they boast an entirely gluten-free menu which will be interesting to see how it plays. I have yet to make it to Cafe Blue (despite it being the title of a The Style Council album). John's Sandwich Shop has new ownership (though they have ties with the former space) and will be come The Grille. Wauwatosa proper is expecting its own nano/micro brewery on North Ave called Stock House. I for one would selfishly love to see a west-side Transfer pizzeria or Gypsy Taco or Burger. 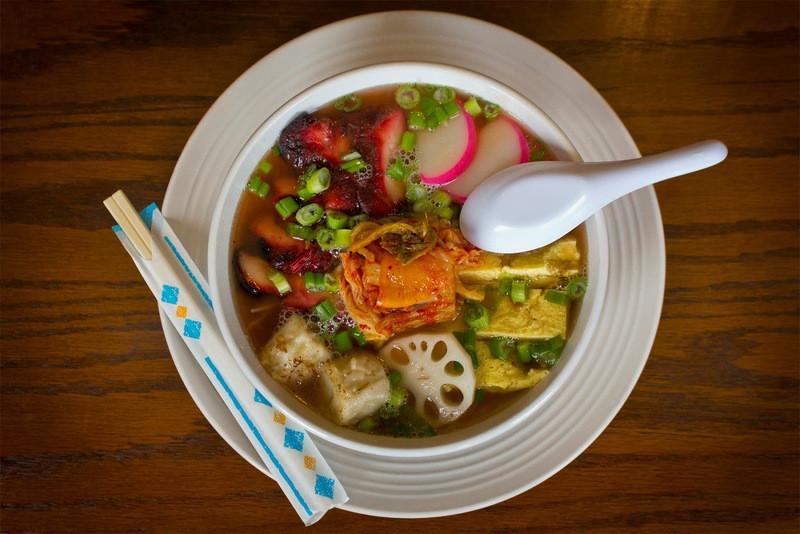 This isn't meant to be a comprehensive list, of course there are other local restaurants & businesses, these are some of my favorites, ones with longevity, or highly reviewed places - no offense meant to those not listed here whether new or old.